My book isn’t selling! You need to concentrate on book marketing. The sky is falling, and the end is nigh of course, as bookstores close their doors and Amazon gobbles up the book buying market. This is without even thinking about e-books, which are being pumped out by the thousands every day, and the destructive effect they have had on real book sales. But there are a lot of trees that are very happy about this! However, the truth is that very little has changed when it comes to marketing a book, or e-book, in today’s new electronic, Internet-driven market. Book marketing is still the same. A successful book needs four key elements to have a chance of selling well. 1. A great book. Well written, well edited, perfectly proofread, is in a popular genre, and will grip a reader. 2. A great cover. In fact, a killer cover designed by an expert is absolutely essential. 3. A book needs promotion. 4. Lastly, a book has to be positioned. While the first two factors are in the hands of the author after writing a book; which is to work with professionals to get the book up to publishing standard, the last two are often misunderstood. They both fit into what could generally be called book marketing, but they are very different in what they do. Let me explain. Promotion is the act of making it known to as many people as possible that you have a book to sell. Social media is now the modern-day equivalent of appearances on radio or television, or being lucky enough to have had some newspaper lines. So Facebook, Twitter, blogging and pay per click advertising serve the modern purpose. Unfortunately, many authors think that this is the be all and end all of selling books. The hard truth is that promotion alone will not sell many books at all. It’s useful, yes, but without positioning, it can all be a waste of time. I read many years ago about an author who gained no sales traction at all after appearing on Oprah. Promote for sure, but only if you position. So what is this positioning thing? Well, imagine a bookstore, and think about the position of the best-selling books. Up front of course – immediately visible as you walk in the store, and not far from the cashier. Not hidden at the back of the store next to faded tourist maps of Paris. This is, unfortunately, where most books are located on Amazon, Apple and B&N. The positioning of books today means getting a book in the very narrowest of genres (categories) as possible. Usually, when publishing a new title, you can choose two. So listing a book under ‘Romance’ is not narrow, and it will be lost amongst millions of other books. 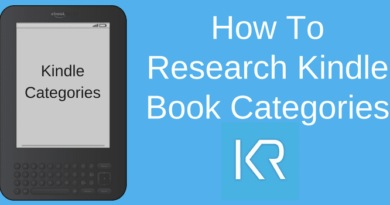 To get readers to find your book, it needs to be far more specific. Perhaps, ‘Romance – Romantic Heroes- Royalty & Aristocrats.’ In other words, up front, for exactly what your target readers are looking for. Then there are the search keywords or long tail keyword phrases, which need to be added. Amazon allows seven, but other retailers sometimes allow more. These are absolutely crucial in getting a book noticed, and they require a lot, and I mean a hell of a lot of research. When a reader visits Amazon for example and searches for ‘books about princesses’, this links perfectly with the above category selection of ‘Royalty & Aristocrats’. Therefore, princess, prince, and perhaps queen are great search keywords. Positioning is even more importantly about ranking. The higher a book ranks, the better it will be seen and sell, and of course, the opposite is true. Getting a book to rank highly and consistently is the only possible way of maintaining reasonable book sales, but it is not easy at all to achieve. The tried and true method is to give away e-books. I can hear you squeal from here, and I hate giving away e-books too. But it is a fact of life now that it is the quickest and easiest way to boost sales rank. While a give away without a lot of promotion helps, a giveaway promoted on Bookbub can make a huge difference. I can hear you squeal again at spending over $350 to promote a free e-book. But don’t think free and no immediate return, but think sales ranking and positioning that will lead to post promotion sales. The higher ranking you can get, the more sales you will make. In other words, you pay to get at the front of the bookstore, which is what publishers have done for almost ever. See, nothing much has changed in book marketing. Get your book to the front of the store. Having worked as a secretary to a publishing company way back, I was able to witness the ‘scene’ from the inside and was fascinated.Hooked from a young age on reading and writing, I soaked it up. Believe it or not, LUCK plays a large part in your book being recognised as the gem it is…, or that hot potato TASTE. We received two, well-written books on a mounteering adventure, two days running. The first one was published…Pure luck as our ‘decision meeting’ was on that first day (held monthly).When it came to TASTE, one of our directors was VERY old-fashioned so it was a hard task getting anything too unusual past him. WHO YOU KNOW (in all ‘walks.’..) helps to a point. I was asked to rewrite a m/s from a novice writer and it was riddled with mistakes. (The author’s friend and doctor was a friend of our senior director..) Eventually published, it sold so few copies it was ‘remaindered’ and the writer had to refund the monies paid to her on publication! I later had a great experience being published twice by another mainstream publisher(1983/4) and have since been published through the ebook system. NO contest! My memoir went to No.1 for a while in Kindle’s social history & memoir category, but other books have only afforded me a day-trip to Benidorm,and I already live in Spain!. Hey ho. Trouble is I’m a technical nerd…Onwards and upwards.